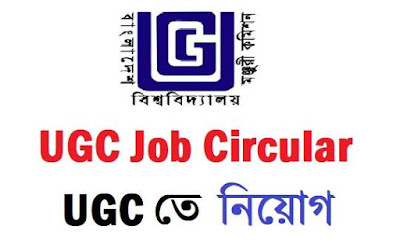 Bangladesh University Grants Commission recently published UGC Job Circular 2018. 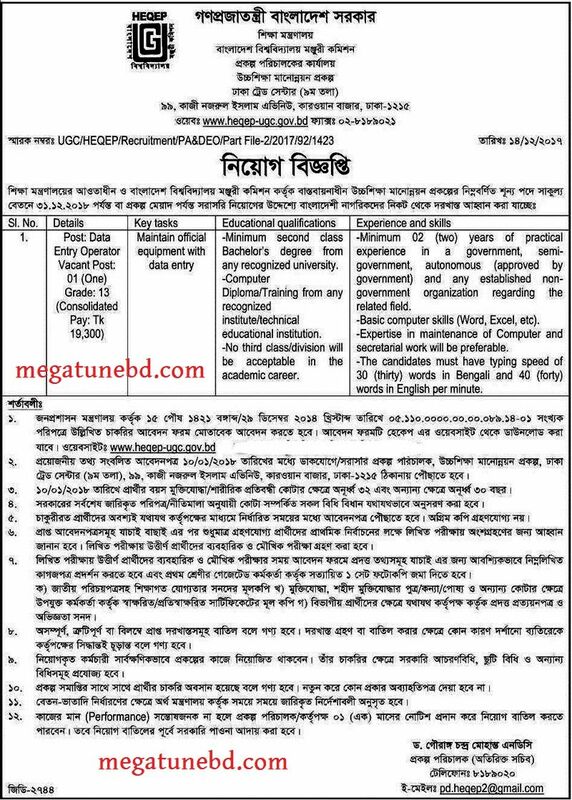 It is a famous educational organization of Bangladesh Government. Its Aim to ensure the educational quality of our public and private universities. Private universities have to take permission from the UGC to run their institutions. And the job is here is a good one. The number of vacant posts is 01 in the circular. The open position is Data Entry Operator. And the educational qualification for this post is Bachelor Degree Passed. The salary is 19300 Taka. Source: The Daily Star and their Website. Post Name: Data Entry Operator. Total Post: 01 (Only One). This is a full govt job. So, you can apply for this post without any delay. You can download the circular from our site and can download the application form from their website. You have to download the Job application form from their website (mentioned above). then fill up the form with valid information. Then send the application form to their office address by the post office. If you have any inquiry, comment below. Like Our Facebook Page for new job update. Share this recruitment notice with your friends. Thank You.